Report: World Bank Still Not Lending With Environment (and Disasters) in Mind | "Global Possibilities"
Back in 1989, when I spent four months scouring the road-laced reaches of the western Amazon researching my first book, The Burning Season, I learned a lot about the power of loans to propel environmental and social progress or trouble. 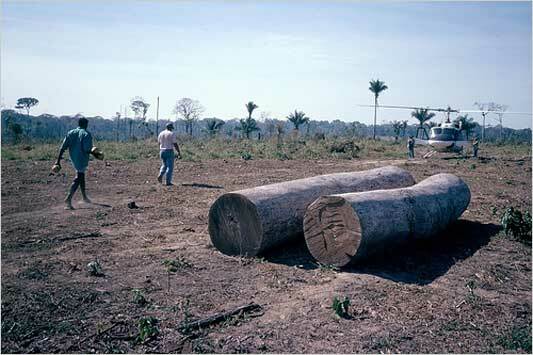 Road-paving projects, many underwritten by wealthy countries, were spreading ranching and logging into areas inhabited by rubber tappers and Indians, with environmental destruction and violence the result. Since that era, when rain forest destruction achieved something close to the visibility of global warming today, the World Bank and its sister institutions, including the International Finance Corporation, have been talking the sustainability talk. My news article on the review of environmental policies and practices of the World Bank Group is online. As the world heads toward nine billion people, with most population growth in the poorest places, how can prosperity be spurred — by lenders or in other ways — without erasing the planet’s natural assets? That is the question. I’ve added a bit below on a couple of points that didn’t fit into the news story. I asked the report’s authors about another problem I’ve been tracking at the World Bank — what some officials there say is a persistent lack of focus on investments that can limit losses in inevitable natural disasters (like reinforcing schools in earthquake zones). Sure enough, some of them had worked on that, too.